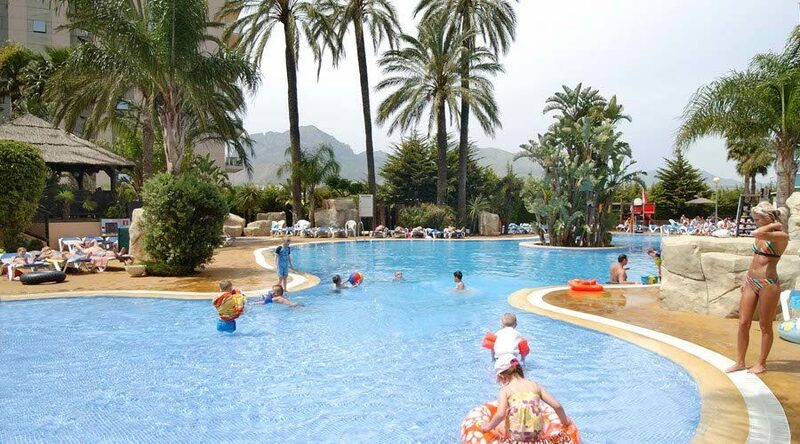 The four star all-inclusive Flamingo Oasis Hotel is located in the popular resort of Benidorm, just 15 minutes walk from Levante Beach. 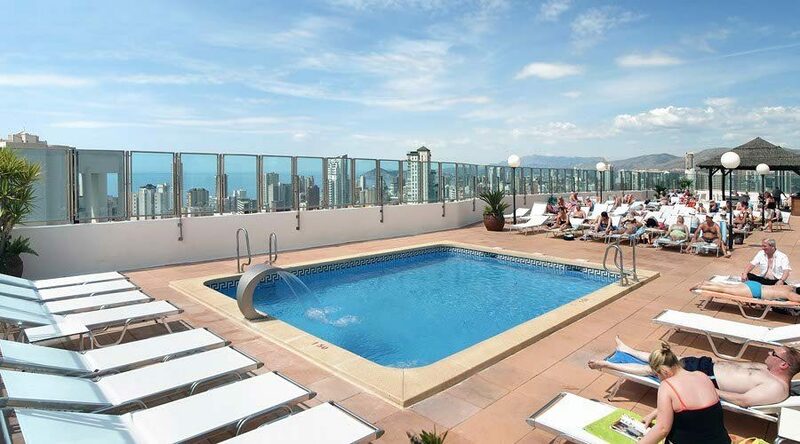 From the distinctive flamingo emblazoned down the outside of hotels 25 floors, to the cool marble reception area, the well equipped bedrooms and the wide range of facilities, you cant fail to be impressed with the Flamingo Oasis. Daytime activity centres around the large swimming pool with its sundecks and palm trees, the multitude of sports activities or relaxation in the spa. When the sun goes down, the open air entertainment area comes to life, with a programme of live shows, or why not dance into the early hours in the disco or relax in the great selection of bars. 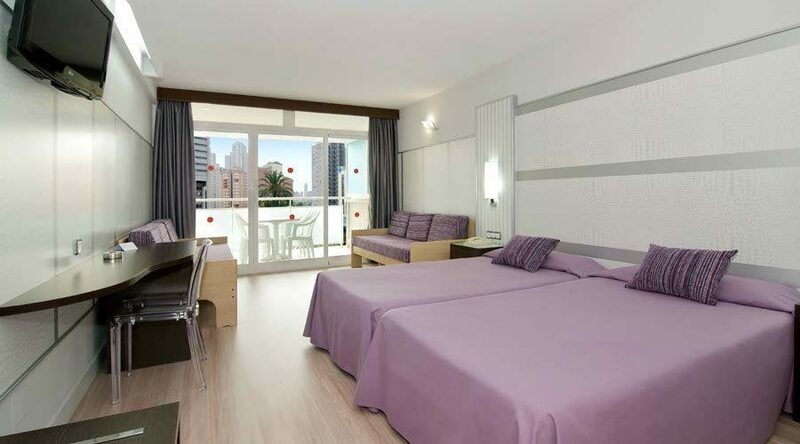 With so much to choose from onsite and with the wonders of Benidorm close at hand, its easy to see why the Flamingo Oasis Hotel is a family favourite. The hotel boasts a great range of facilities for guests to enjoy from dawn til dusk. You'll find three outdoor swimming pools, an indoor pool, internet centre, two buffet restaurants, three bars, a disco, recreation room, hair salon, childrens area, gym, multi sports zone, mini golf, spa and daytime and evening entertainment programmes. 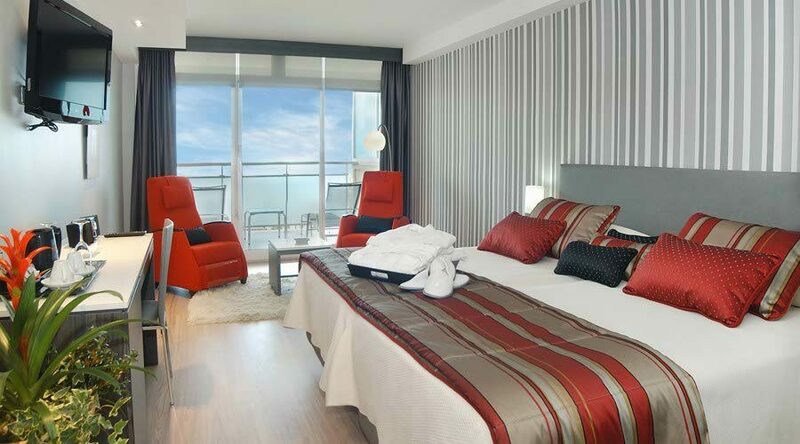 There are 398 comfortable bedrooms for guests to relax in, including Double and Family Rooms. Room facilities include telephone, air conditioning, balcony/terrace, fantastic views, television, satellite TV channels, optional safe, hairdryer, cots on request and full bathroom. 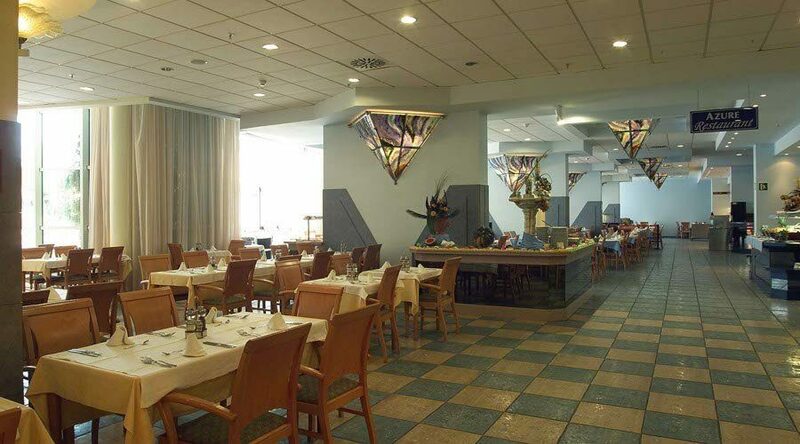 Choose from the Arena Restaurant, with its international hot/cold buffet and special desserts, or there's the Azure Restaurant with an international buffet daily and themed evenings three times a week. Enjoy a drink in the Veranda Bar in the lobby, the poolside Laguna Bar serves hot and cold snacks and there's live music in the Piano Bar. Don't miss the family fun and entertainment in the Flamingo Fiesta Disco.